Post-Doctoral Research at University of Washington, Seattle, USA. PhD Strategic Marketing Management, Bangalore University. MBA Department of Management Studies, Bangalore University. BE (Mechanical Engineering), University College of Engineering, Bangalore University. Teaching Experience: 16 years of teaching experience at both Indian and foreign universities. He is known to experiment with the innovative pedagogical practices that have been very effective in improving the student learning outcomes. He has been popular among students and at the same time he is a disciplinarian. Recognised PhD guide for VTU. Recognised PhD guide for University of Mysore. IBM certified professional in marketing analytics using SPSS. Member of syllabus committee for MBA course of Bangalore University. Member of Board of Examination, Bangalore University. Member of Board of Studies, Karnataka State Open University, Mysore. Consulting Editor, Hospital Topics, a reputed journal from USA. Professional Affiliation: Associate member of Institute of Engineers. Teaching Interest: He has worked with some of the leading business schools in the country in leadership positions. 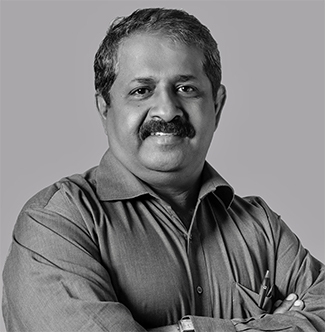 He is a passionate teacher with the domain expertise in market research, strategic marketing and marketing Analytics. Subject Expert / taught: With his strong marketing Consulting experience, his favourite areas of teaching include strategic marketing, marketing research and consulting, marketing Analytics and business marketing. Research interest – Area of research / current research: He has worked considerably in the areas of reinventing product life cycle theory, consumer behaviour, advertising and brand management. > Reverse logistics of e-commerce in India - controls, cost and clearance publication date Jul 17, 2017 publication description The Case Centre, UK. > Market penetration through disruptive entry strategy - a case study of Reliance Jio's entry into Indian telecom industry publication date Jul 16, 2017 publication description The Case Centre, UK. > Practical Utility of PLC theory - A Delphi Based Analysis publication date Dec 18, 2015 publication description IIM Bangalore - Conference proceedings page-187. > Internet of Things (IoT) : Is IoT a Disruptive Technology or a Disruptive Business Model? publication date Aug 9, 2015 publication description Indian Journal of Marketing. > Is E-Commerce Transforming the Indian Buying Scenario publication date Feb 7, 2015 publication description International Journal of Advances in Management and Economics (IJAME). 1. Conference at Decision Sciences Institute conference, held at University of New Orleans, USA. 2. Impact of Business clusters, annual conference at IIM Ranchi in the month of August 2012. 3. Revival of Product Life Cycle, annual conference at IMT Nagpur. 4. New tools in strategic marketing, annual conference at IIM Kozhikode, Dec 2013. 5. Practical Utility of PLC theory: Delphi approach, annual conference at IIM-Ahmedabad, January 2013. 6. Paper presented at annual conference at IIM Ranchi, 2013. Current assignment: A research on influence of innovative leadership on business school performance. He has been awarded the best faculty on two occasions at IFIM Business School. 2008 and 2010. Best research paper award at IMT Nagpur, 2013.